One of the top posts of the past year explored why Airbnb keeps winning at hospitality. In many ways it builds on a top post from last year that asked, what business is Airbnb in? Hotels? Or hospitality? Both posts are definitely worth your time as we continue to deal with Airbnb’s place in the hospitality ecosystem. It seems a bit weird to include a round-up post in… a round-up post, but these 9 popular hotel marketing and distribution posts for you from earlier this year were simply too, well, popular and important insights into the trends shaping next year to leave out. Artificial intelligence undoubtedly represents one of the key trends to watch as we head into the New Year. Which is why you need to check out this look at how to make AI work for successful hotel marketing and AI for marketing: AI makes big data little. Both are well worth your time. Of course, AI isn’t the only big trend coming in 2018. That’s why you owe it to yourself to review these 7 must-see posts highlighting how to market your hotel in the future. While it isn’t a new trend, these 8 posts highlighting the growth of mobile in travel marketing certainly call attention to one of the most important trends you’ll face in the New Year. And yet another “holdover” trend examines the single most effective way to improve your brand’s marketing. Simply must-see. With slowing growth due to market saturation, the OTA’s certainly aren’t sitting on the sidelines through all these changes. 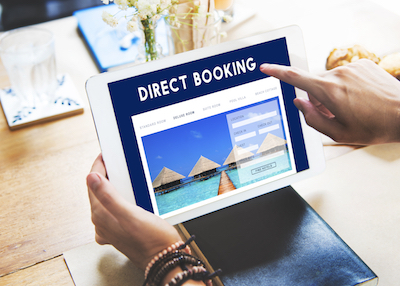 That’s why this report from Tnooz that Expedia has set its sights on legacy tech with ambitious ‘travel platform’ for hotels is so noteworthy. So is this post that examines Airbnb and Expedia, execs answering 10 pressing questions. Ultimately, it’s a key reminder of this Warning: OTA’s want to own your guests every step of the way. In the escalating war of words we’re seeing with OTA’s vs. brands, the fact that OTA’s say hotel companies are just as bad for consumers as… OTA’s(?!?) was definitely one of the weirder things we saw all year. While we’re on the topic, you might also want to check out these 8 insights into OTA’s, personalization, and your overall digital strategy. Seriously good stuff there. And, finally, with the rate of change, it’s understandable that when it comes to hospitality digital marketing and distribution, you might ask, “Is it time to give up?” We’d say, “No.” Now go check out the whole post to see why. Well, there you have it, Big Thinkers. Another year in the books. 2017 has been an amazing year for us here at Tim Peter & Associates, and a great one overall for our clients. We’re incredibly grateful for all the good fortune that has come our way. Hope the same has been true for you too. And keep checking back all next year (or subscribe to receive updates here). There’s a lot more to come as we head into 2018.